Happy Saturday! I hope you have fun plans this weekend! I'm going to be finishing up the Halloween decorating outside if I can get the last few things I need. I've really been in the Halloween spirit, and this is the first time since we bought our house almost two years ago that I'm getting to do fun spooky things outside. I'm definitely enjoying this project! I may have to share a few photos when it's all done. Now on to today's blog post! 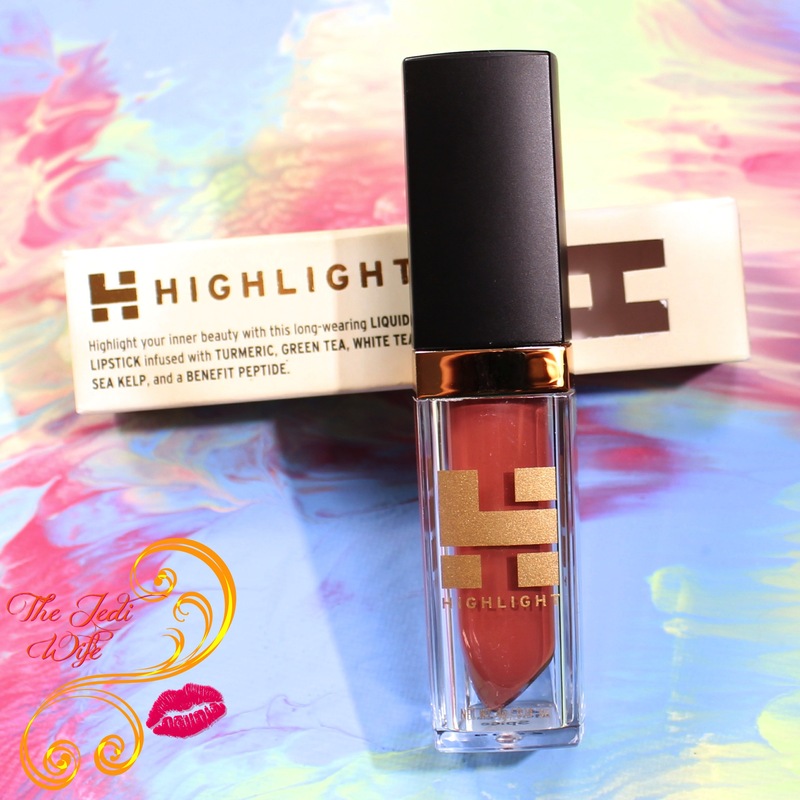 Highlight Cosmetics is a new high end makeup brand that launched with their long-wearing liquid matte lipstick line. Marked at a price point of $25 each, I expected a lot from this lipstick, both when it comes to performance and presentation. The first thing I noticed is this lipstick comes packaged in a box. I really like the added "H" cutout to showcase the lipstick shade; it definitely adds a nice high end element to the packaging! I am loving the look of this lipstick! The branding is printed on the plastic as opposed to affixing on a sticker (so that's a plus), and the choice of copper instead of silver or gold makes it look classier. I'm not particularly fond of the lid as it feels like cheap plastic, especially for a $25 product, but I can look past that with the other beautiful packaging aspects. My favorite part about the packaging is the lipstick bullet shape that contains the liquid lip product. How ingenious! This liquid matte lipstick applied nicely with a doe foot applicator. As with matte lipsticks in general, you are going to want to start out with flake-free lips for a smoother application and final look. This particular lipstick dried in about a minute, slower than several other brands I've used, but it didn't seem unreasonably long, especially considering its staying power! I was able to wear this beautiful shade for at least six hours through my coffee, breakfast, lunch, and several glasses of water before it started flaking off my lips. As much as I love matte lipsticks, it's no secret that long-wearing shades tend to be very drying on the lips. 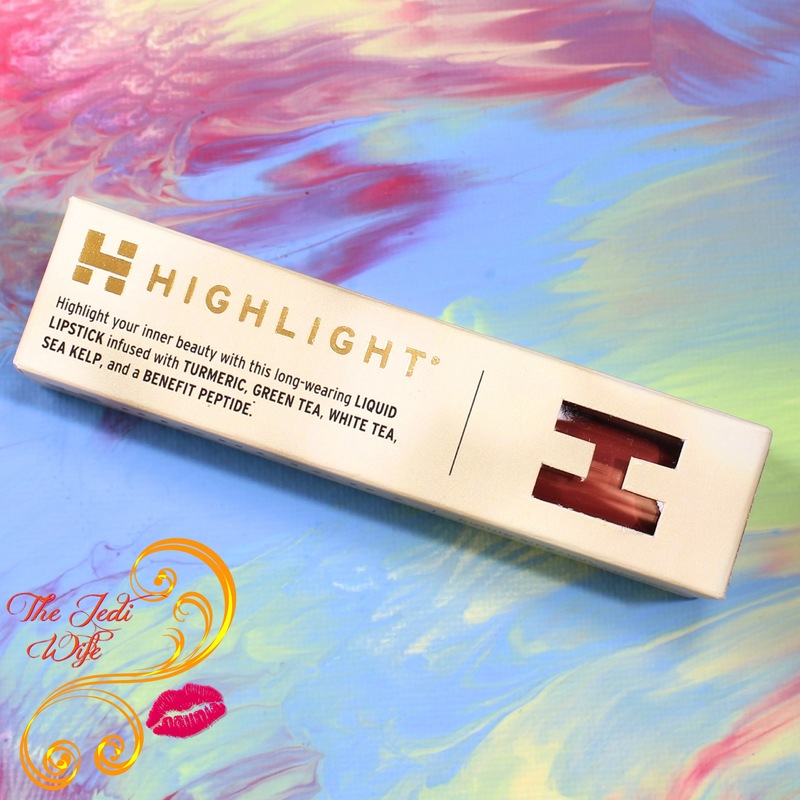 Highlight Cosmetics uses a natural infusion of turmeric, green tea, white tea, sea kelp, and a benefit peptide that gives your lips a soft and smooth finish. This long-wearing matte liquid lipstick really does improve the health of your lips! The tea extracts are antioxidants that fight free radicals, and turmeric contains antibacterial properties, preventing bacteria from attacking your lips. Sea kelp aids in moisturization and prevents the appearance of skin damage while palmitoyl tetrapeptide, the "benefit peptide", reduces the appearance of lip roughness and lip wrinkle depth and volume. With all these fantastic properties, I don't know how you could ever go back to using other drying brands of lipsticks! While the $25 price tag originally seemed a little steep, I find this lipstick to be at least on par with other high end brands of a similar price point, if not better! I'm sold on the brand, and I've added a few other shades to my wish list! Highlight Cosmetics has created 10 different long-wearing matte lipstick shades including 5 metallics. 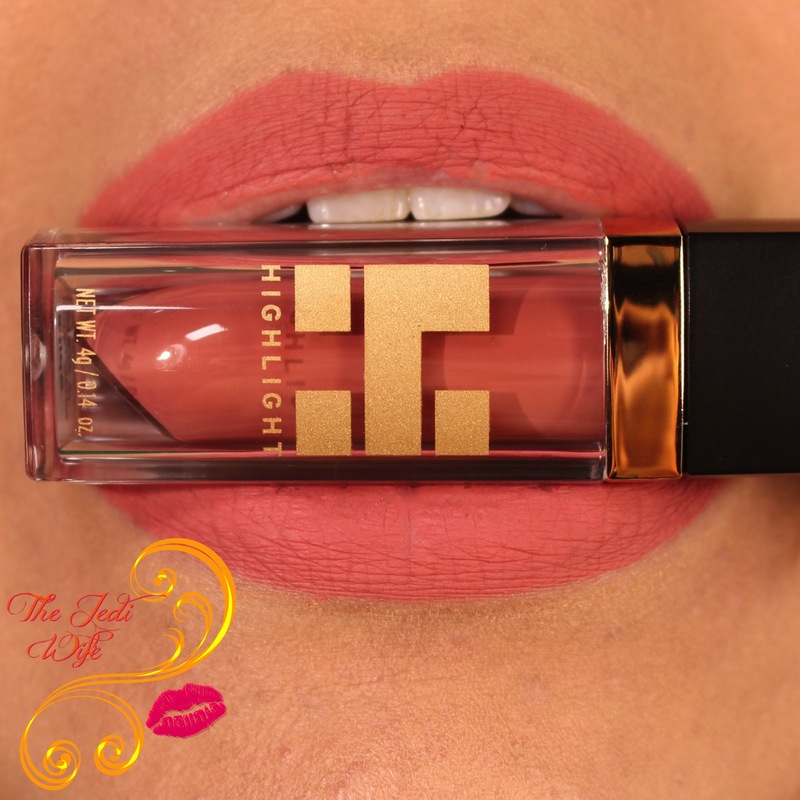 They are available for purchase on the Highlight Cosmetics website located here and on Amazon. My experience with the brand has been very positive, and I look forward to seeing where this company goes from here! Do you wear liquid lipsticks? What shades do you like to wear? I'd love to hear from you! I've been seeing posts about this brand on IG. I'd love to try something metallic from them. So that picture with it in your teeth is pretty much perfect! I just got one in the mail and will be wear testing it all day tomorrow (and I talk and drink coffee all day at work!). Your review has me excited! I like both the shade and finish of this, looks great on you! Pretty shade. I don't know that I'm in for $25 though. A very pretty colour, but I don't wear much lippy now days. I have one of these, and I was super impressed with it. I was wary of liquid lipsticks before this, and now I have tons of them. wow !!!!!!!!!! very pretty shade, I love the matte look. This is a beautiful shade! It looks so great on you! Lipstick is the only make up I actually never wear and never really got into when I was in high school. I think it's because I don't like the feeling of something coating my lips lol I even have a hard time with chap stick :P I do prefer the look of matte lipsticks though, and this one is beautiful!